The year of 2017 was prominent for Ukraine’s standing in international capital markets. Generally, the country’s economy in 2017 continued the trend towards gradual recovery that first emerged in early 2016. While the pace of that recovery was, perhaps, slower than sometimes expected, the bare fact it existed in the first place demonstrated the global investment community one key fact about Ukraine. Despite all the geopolitical blows coming Ukraine’s way, the country can and would endure. What naturally followed the footprints of this recovery was the increasing appetite for Ukrainian risk demonstrated by foreign investors. Both the sovereign issuer and some of the largest Ukrainian corporates managed to capitalise on that increased appetite by successful Eurobond offerings. Three major Eurobond deals closed in 2017 and generated increased publicity for investment opportunities in Ukraine and brought an inflow of new money to further strengthen the Ukrainian economy. This article leads with a short overview of major Eurobond transactions carried out last year. It then moves on to highlight key issues of the recent capital market deals and recaps several Ukrainian law developments that affected Eurobond transactions. 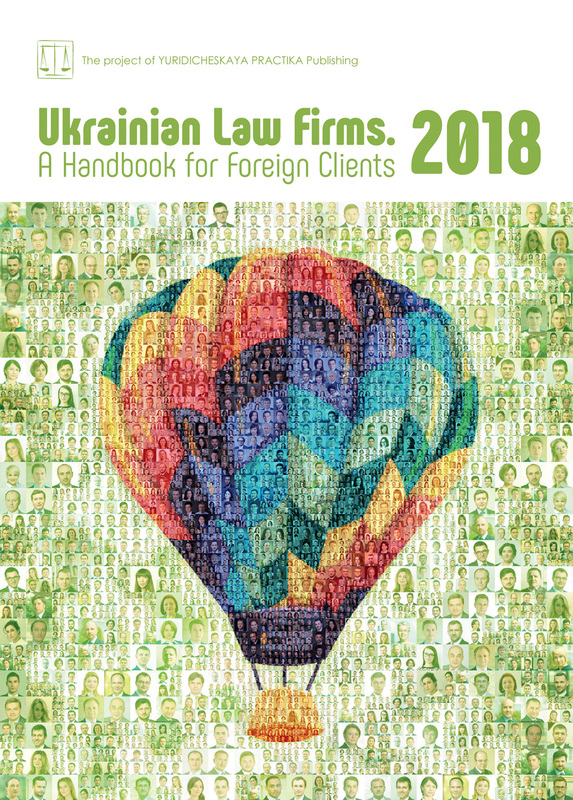 Finally, the article in broad strokes discusses some of the key trends relative to international capital markets deals in Ukraine that should be closely watched in 2018. In particular — the increasing interest in local currency (hryvnia) linked instruments that we have observed recently. The return of Ukrainian issuers to international capital markets was one of the most important financial topics in Ukraine across 2017. In the first half of the year, Ukraine’s leading agribusinesses, Kernel and MHP, were in the limelight. Namely, Kernel’s USD 500 million Eurobond issuance in January 2017 was both the first successful corporate Eurobond offering from Ukraine since 2013 and Kernel’s own debut experience with international capital markets. MHP joined in May 2017 by issuing USD 500 million of Eurobonds. The issuance was coupled with a cash tender offer for MHP’s outstanding Eurobonds due in 2020. Finally, September 2017 saw the sovereign issuer coming back to the international capital markets after a crucial debt restructuring that Ukraine conducted in 2015. Ukraine made a USD 3 billion Eurobond issue combined with a cash tender offer to the holders of the outstanding Eurobonds due in 2019 and 2020. This was the first stand-alone sovereign bond issue by Ukraine since its 2015 sovereign debt restructuring. The global investment community welcomed Ukraine’s return to international capital markets. Kernel and MHP deals raised new issues regarding corporate authorisations caused by recent developments in regulation of interested party transactions. For example, an affiliate of a joint-stock company’s shareholder may be considered an interested party if the joint stock company and an affiliate of a joint stock company’s shareholder are parties to the same agreement. Since Eurobond documentation for corporate issuers usually involves multiple sureties/obligors within a particular corporate group, more complicated rules for approval of interested party transactions required specifically tailored structuring of the transaction documents for each Eurobond deal. The sovereign deal was Ukrainian first Eurobond issue ever combined with a liability management exercise, in this case — with a tender offer. The tender offer element required new legal solutions in terms of overall transaction structuring and documentation. Unlike previous Ukraine’s Eurobond transactions, last year’s issue was structured under a fiscal agency structure, rather than the trustee structure employed in past sovereign issues. It is worth highlighting several regulatory developments affecting Eurobond transactions. From the currency control perspective, the National Bank of Ukraine (NBU) cancelled the individual licence requirement for Ukrainian banks to buy back their loan participation notes (Eurobonds). In addition, the NBU allowed Ukrainian banks to make early repayment under their Eurobond-funded loans. From the corporate law perspective, there were some further changes in rules on approval of interested party transactions. Now, private joint stock companies enjoy more flexibility in the corporate approval process. From the tax perspective, the Ukrainian Parliament introduced special rules for taxation of interest payable under the Eurobond-funded loans extended by a foreign lender to Ukrainian borrowers. Interest payments under such Eurobond-funded loans disbursed between 1 January 2017 and 31 December 2018 are exempt from the withholding tax in Ukraine subject to the following requirements: (i) a foreign stock exchange used for the issue of Eurobonds is included in the list of eligible foreign stock exchanges approved by the Cabinet of Ministers of Ukraine (CMU); (ii) proceeds were raised for the purpose of making the Eurobond-funded loan (directly or indirectly) to the Ukrainian borrower; and (iii) the foreign lender (and/or its authorised person if the interest is paid through such authorised person) is not a resident in a low-tax jurisdiction for transfer pricing purposes approved by the CMU. The above withholding tax exemption will remain available until 1 January 2019. From that date on, interest payments under the Eurobond-funded loan extended by a foreign lender to a Ukrainian borrower will be subject to a reduced 5% withholding tax in Ukraine. In the second half of 2017, foreign investors demonstrated interest in hryvnia-linked bonds, as they offer considerably higher interest rates. The European Bank for Reconstruction and Development tested the waters by issuing small amounts of hryvnia-linked Eurobonds. The International Bank for Reconstruction and Development also issued its first ever hryvnia-denominated bond. Several global investment banks, such as Citigroup and Nomura issued credit linked Eurobonds, repayment under which is linked to local hryvnia-denominated treasury bonds. At the beginning of 2018, there was high demand for hryvnia-denominated bonds. Foreign investors are buying local hryvnia-denominated Treasury Bonds and are looking forward to see potential offerings of hryvnia-denominated Eurobonds in significant amounts. Eurobond offerings completed in 2017 demonstrate signs of reviving investors’ confidence in Ukrainian economy and will hopefully open doors to this important funding source for other Ukrainian businesses. Foreign investors’ appetite for Ukrainian risk is increasing. Due to favourable capital market conditions, some companies are looking into debt capital market and issuing new Eurobonds. Taking into account the optimistic outlook, we expect to see even more successful Eurobond issuances in 2018.